Craig Richardson has released the freeware Dornier Do-28 for FSX. Download Dornier Do 28A-1 or Dornier Do 28B-1. UK2000 has released London City Airport (EGLC) for FSX and FS2004. Now available to purchase at SimMarket. McPhat Studios has posted more preview screenshots from the PMDG 737 NGX - KLM Royal Dutch Airlines HD Textures. Orbx has posted the first screenshots from the upcoming Moorabbin Airport (YMMB) scenery for FSX. John Venema from Orbx has detailed upcoming product releases for the remainder of 2011. Orbx has updated the FTX Australia Traffic Pack for FSX to version 3.21. Download at the Orbx Website. - Completely new Air New Zealand schedules plus new repaints now they have removed the Pacific Wave from their domestic aircraft. - New flight schedules for Jetstar’s New Zealand and international operations. - New flight schedules for a number of smaller operators including Sharp Aviation and Skytrans. - Additional Coastwatch aircraft and flights. - About 30 new Cessna aircraft liveries and flights to add additional activity at YWOL, YMMB and YBAS. - Many small modifications to aircraft and activities at a number of various airports. The Ground Environment X (GEX) Europe v2.10 and Africa & The Middle East v1.10 patches for FSX have been released. Devinci Design has posted new preview pictures from the upcoming San Diego Intl. Airport (KSAN) for FSX. Baja Sim has posted the first preview pictures from La Paz, Baja California Sur (MMLP) for FS2004. Vladimir Zhigulskiy has released upgraded virtual cockpit textures to the freeware Antonov An-2 for FS2004. VertigoStudios has posted more preview pictures from the Boeing Stearman PT-17 project for FSX. AFS Design has released the MiG-21 - MiG-29 - Su-27 Russian Jets Package for FSX and FS2004. Pacific Islands Simulation has posted another teaser from the upcoming Puerto Vallarta (MMPR) scenery for FSX. Carenado has posted new preview screenshots from the upcoming Piper P46T Malibu for FSX. Just Flight 757 Jetliner Freemium? Just Flight has announced 757 Jetliner Freemium, the details of which are to be revealed on October 28th 2011. McPhat Studios has posted new preview screenshots from the PMDG 737 NGX - KLM Royal Dutch Airlines HD Textures. IRIS Flight Simulation Software has posted more preview pictures from the upcoming Silence Twister for FSX. New development renders from the Cessna 402B for FSX project have been posted in the FSDeveloper Forums. feelThere is offering 40% off on select titles from Wilco Publishing. Valid until October 28th 2011. Aerosoft has posted more preview pictures from the upcoming Airbus X Extended for FSX. The freeware Taiyuan Wusu International Airport (ZBYN) for X-Plane is now available to download at XPFR. SoulMade Simulations has posted new preview renders from the de Havilland DHC-2 Beaver for X-Plane. Just Flight is offering discounts on the Aeroplane Heaven Douglas DC-3 and Expansion Pack for FSX. Until Oct 25th 2011. AirTrack for the iPhone, iPad and iPod Touch has been updated to version 3.0. Details at the AirTrack Website. Return to Misty Moorings has posted the promotional trailer to the upcoming C.I.R.P. scenery for Orbx Pacific Fjords. FSBreak episode 99: Scott and Mitchell of A2A Simulations. Now available at the FSBreak Website. Turbine Sound Studios (TSS) has released the Boeing 737 CFM56-3B HD Sound Package for FSX and FS2004. Turbine Sound Studios (TSS) has released the Boeing 757 RR HD Sound Package for FSX. Available at SimMarket. Navigraph NAVData AIRAC Cycle 1111 is now available for purchase at Navigraph or SimMarket. Drzewiecki Design has posted new preview screenshots from the upcoming Kraków Balice 2011 (EPKK) scenery. AVSIM has posted more preview screenshots of the upcoming X-Plane 10 flight simulator from Laminar Research. YoYosims has posted more preview pictures from the upcoming Aerosoft PZL-104 Wilga for FSX. Didier Bur has released the freeware Verdun-Le-Rozelier Airport (LFGW) for FSX. Download at Flightsim.com. Angelo Tassoglou has released the freeware MacedoniaWest photo scenery for FSX. Download at AVSIM. 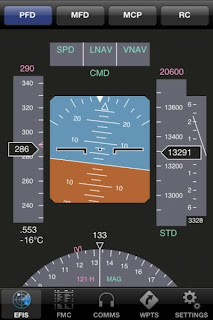 Simulation Data has posted another preview slideshow from the upcoming FSXtension simulator enhancement for FSX. Turbine Sound Studios (TSS) has posted the first development video from the upcoming F-15 Sound Package. Orbx has released the public beta version of FTX Day Night Switcher to improve daytime frame rates on FTX sceneries. Laminar Research has posted several skyscape preview screenshots from the upcoming X-Plane 10. Aerosoft has revealed the Airbus A320NEO test bed aircraft, to be part of the upcoming Airbus X version 2 for FSX. in other words, clicking on the 'complete pre-flight checklist' button will actually complete it. - Inclusion of several add-ins created by customers. More development screenshots have been posted from the Mil Mi-17 project for X-Plane. The Precisionaerobus (PAOB) Fokker 60 for FSX is now also available to purchase at SimMarket. PMDG has has posted another livery preview from the -600 variant of the Boeing 737NGX for FSX. OpenVFR has released new countries in the Europe, Asia and South America regions for FSX.